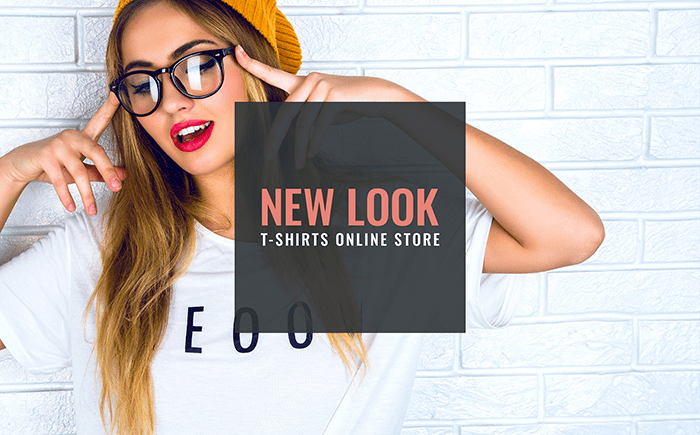 Boost the performance of the online store and increase the profit quickly and effortless. If you haven’t launched a website yet, it’s a great time to start and there is no need to hire a web developer who would do all the job. You can create it by yourself without any coding skills and in only several days. For that you are going to need a ready-made template and several hours to upload the content. Basically, a web template is a fully functional site which you need to install on server, make minor adjustments, and upload the images and content. That’s pretty much it, the site is good to go and you can start promoting it online. However, first of all you need to decide on what CMS (content management system) it will run. CMS is a sort of an engine that powers the site and allows to customize it and make all the changes without digging into the code or scripts. There are numbers of various CMS’s on the market, but which one to choose? Well, everything depends on the type of business, coding skills, content type etc. 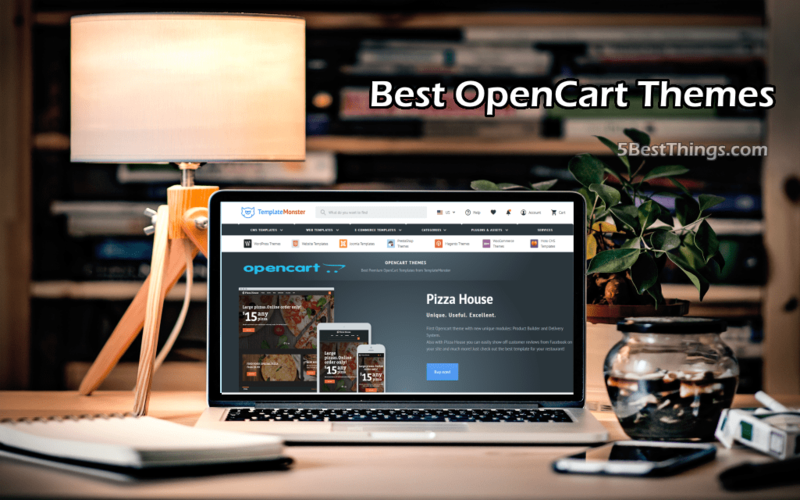 At the moment, OpenCart remains one of the best systems for eCommerce. On the one hand it is quite powerful to offer all the benefits of a professional online store, on the other hand, it is quite flexible for even the beginners could deal with installation and customization. 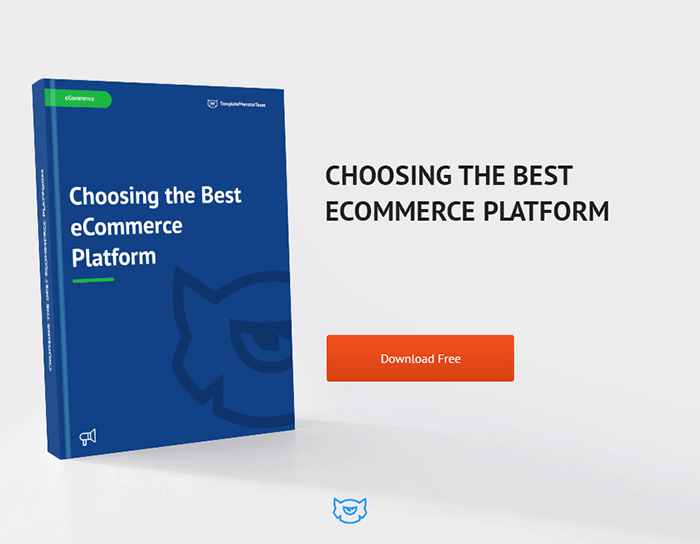 If you still have any doubts, check out a free ebook on how to choose a perfect platform right for your business. 1.Free. The CMS is available for absolutely free of charge. 1. Not recommended for large Businesses. Lightweight code doesn’t include the amount of scripts and shortcodes necessary for running a large or international store. 2. High performance – thanks to a light weight ensures faster operation speed compared to other CMS’s. 2. Limited number of features. 3. User-friendly interface allows even non-professionals to handle with the template quite easily 3. Cached management is not included by default. 4. Supports a variety of extensions and plugins that can boost the performance of the site. 4. Variety of extensions with not secure code from beginner developers. 6. Variety of shipping methods allow you to provide better services. 8. Low server resource consumption. TemplateMonster offers you a collection the top 10 OpenCart flagmans of 2017. The themes are designed by professional developers and ensure a cutting edge performance. 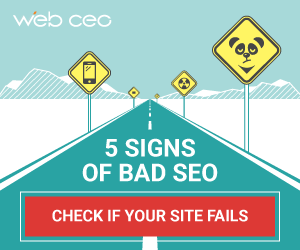 They are also SEO optimized as this is a weak spot of all Shopify templates. All the listed samples meet the latest SEO standards and will be ranked properly by search engine robots. 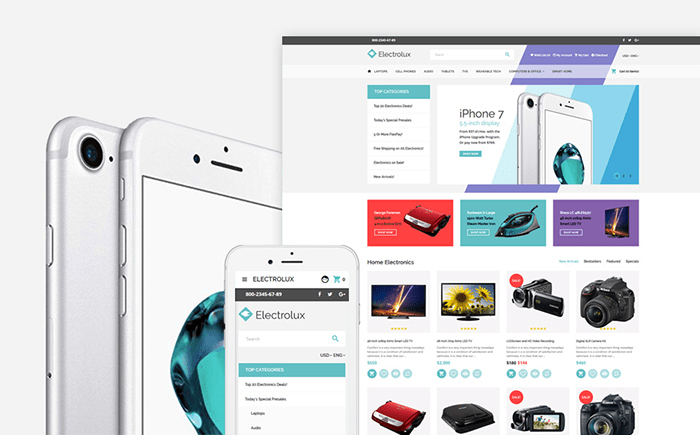 The template is designed for cosmetics stores. It boasts a modern and fully responsive design. For this reason the template will automatically adapt to all screen resolutions without breaking the layout and content. Powder also comes loaded with an assortment of visual effects that give a bit of personal touch to the design of the theme. Use this theme for building a professional fashion store. Thanks to a clean and minimal design the template can be easily adjusted to any business project quickly and easily. Multiple sliders and carousels can become in handy to showcase the products in the most effective way. 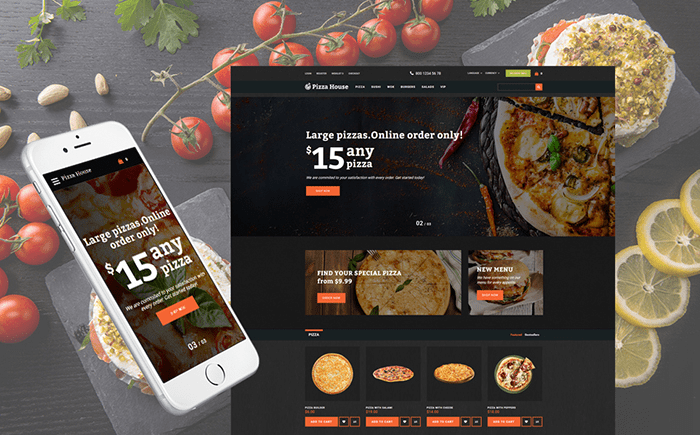 If you own a grocery store or a restaurant, this theme is a perfect solution to introduce it online. The template is built in accordance with the latest web standards. It offers a variety of features every modern website should have. Fully responsive design along with SEO optimized code ensures smooth performance and attractive look on all screen resolutions. SmartHouse is an advanced solution for tech and electronic stores. The theme offers a number of effective features that give the site a cutting edge functionality. A built in mega-menu ensures better usability of the site and makes the content look more structured. In this way the users will be able to find the products and categories they are interested in quickly and easily. 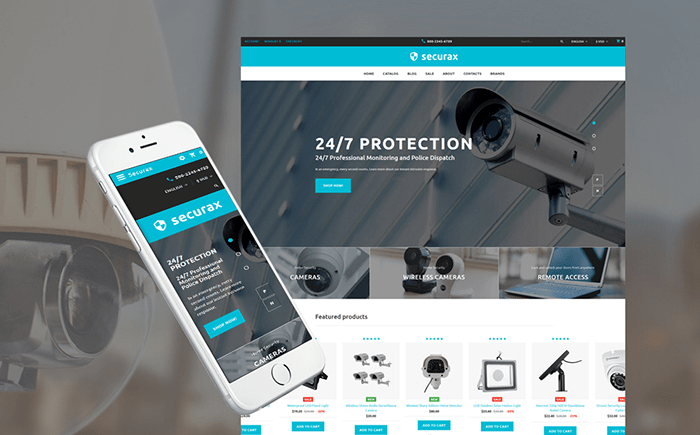 Conservative and clean design make this template a perfect fit for security systems stores. It is not overloaded with multiple visual effects, however , thanks to parallax scrolling and stylish hovers it ensures a fresh look. The template is also SEO friendly and will be ranked properly by the major search engines. 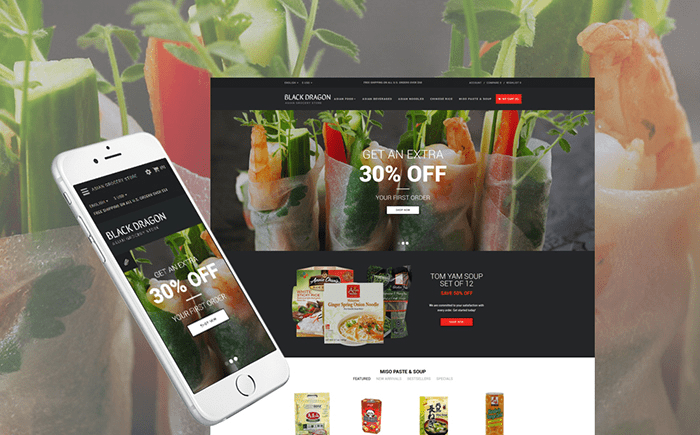 Fooder is another theme specially designed for food stores. It features an attractive design and a fully responsive layout. A fixed header menu ensures user friendly navigation and allows users to go to any page without scrolling back to the top of the site. In this way, you can save the visitors much time and effort. 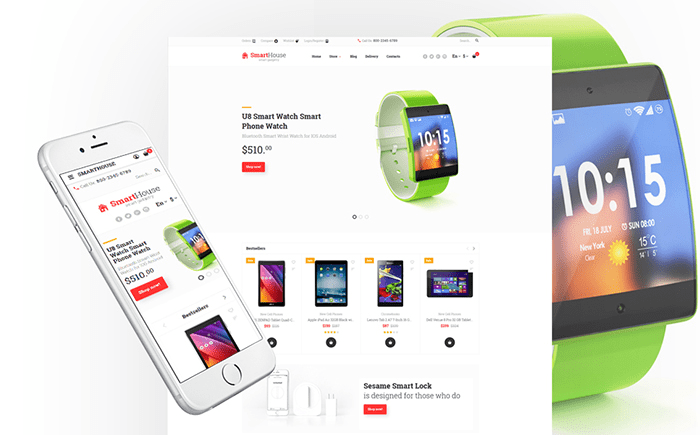 Build a professional and fully responsive electronics website. It combines a set of powerful tools along with an attractive design and striking visual effects. Thanks to multiple layouts and elements, you can make the content make look more structured and inform the visitors on the latest sales and offers. Flexible design ensures quick and worry free customization of the template. 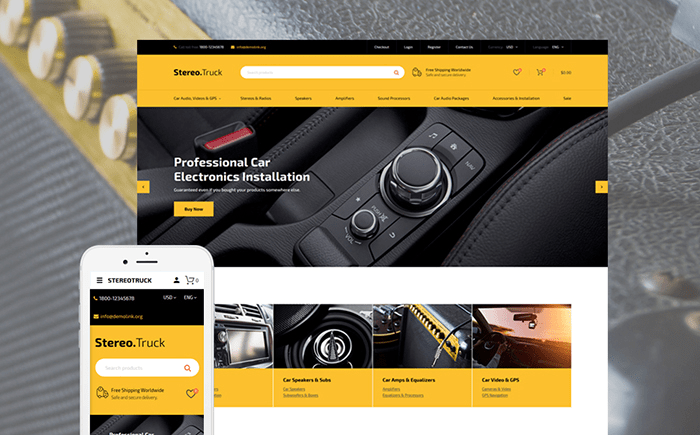 This template is both attractive and powerful, with its help, you can sell various kinds of stereo systems, car parts or anything else. A flexible design allows to adapt the theme to any other project just in several days. Quickview button, currency switcher and advanced shopping cart ensures the best user experience. 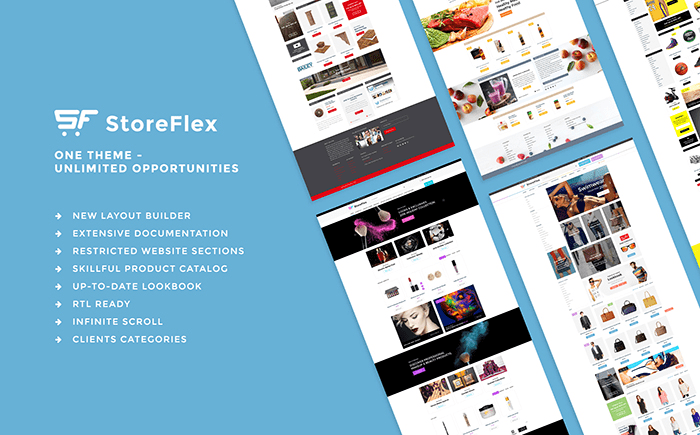 StoreFlex is a 2017 flagship theme which can be used for any kind of project. It comes loaded with a number of readymade designs for various business niches. An integrated layout builder allows you to change the website sections via drag and drop interface. So, you don’t have to spend much time on creating some particular design. The template is recommended for fashion and cosmetics stores of all kinds. A fancy button hover give the template quite an unusual and attractive look. Various widgets and navigation blocks ensure better usability and allow you to make the content look more structured and organized. All the above-listed themes provided by TemplateMonster ensure a smooth and unmatched performance. In addition they come with free 24/7 support, and in case you have any questions, qualified specialists will be ready to help you with any question regarding theme installation or customization.